Harajuku chef in monochrome street dressing with black maxi coat, plain white tee, pleated shorts, black boots and silver jewelry. 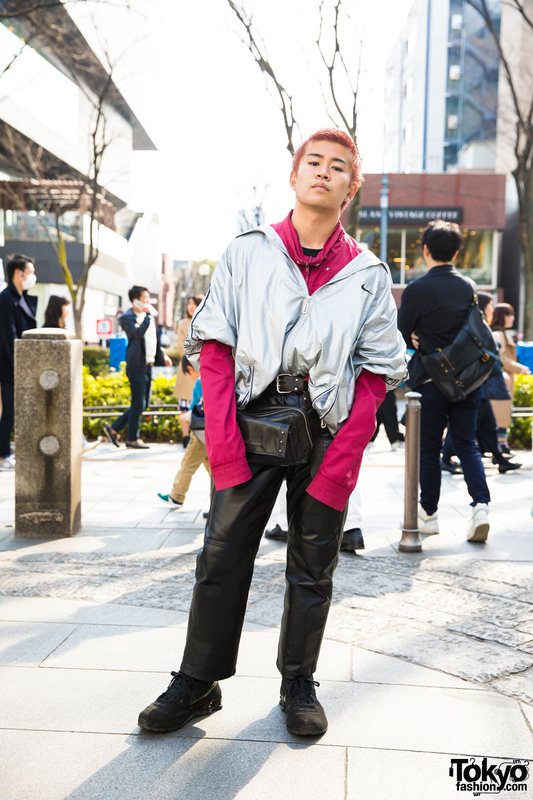 Harajuku guy in layered outerwear fashion featuring leather pants, black runners, and layered jackets. Harajuku girl in minimalist fashion style w/ oversized coat, red velvet dress, sheer tights and platform creepers. Harajuku girl in all black outfit with used/resale pants, top & duffle coat with sling bag and Nike Air Rift BR. 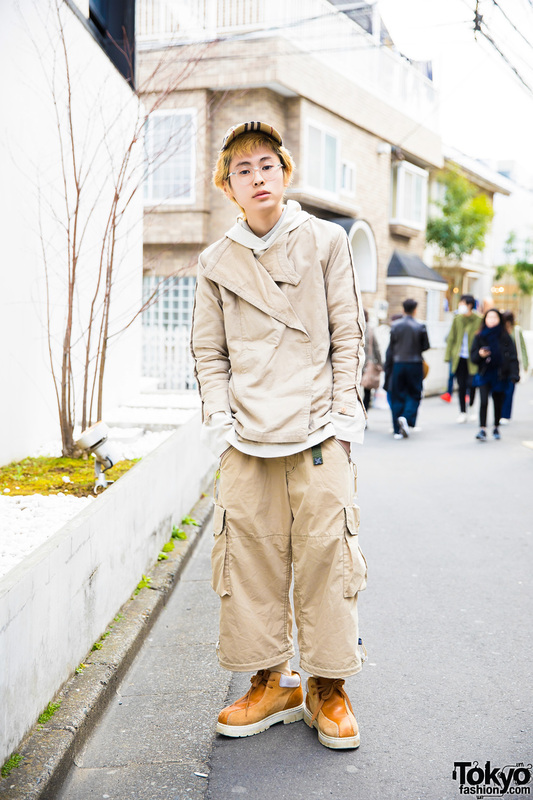 Harajuku guy in tan color palette fashion look with hoodie sweater, cargo shorts, ankle boots and khaki jacket. Harajuku duo in street styles featuring plaid dress & boots, denim jacket, jeans and cognac boots. 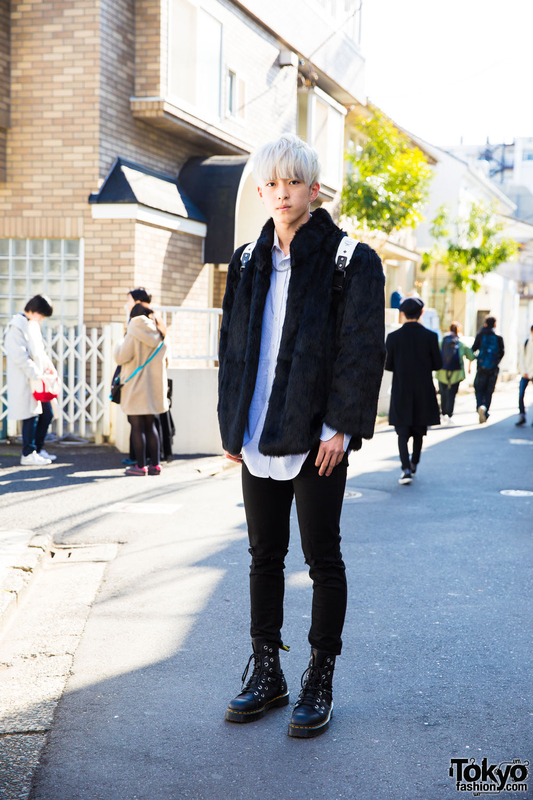 Harajuku guy with platinum white hair in black and white fashion including fuzzy jacket, skinny pants, white backpack and black boots.